The World Cup is held every four years, but the Stade Bauer – in the suburb of Saint Ouen, just to the north of Paris – takes us back to where it all began. Jules Rimet, one of the founders of FIFA and of the World Cup, was also the founder of one of France’s oldest football clubs – Red Star. I very rarely go to PSG games – it’s too expensive and too corporate today – but Red Star games are always fun…and incredibly cheap! In truth the level is not brilliant – they play in the third tier with semi-professional players – but the crowd is loyal and noisy. This is old school football, with ramshackle terraces where you can stand and enjoy a view across to the Sacre Coeur. 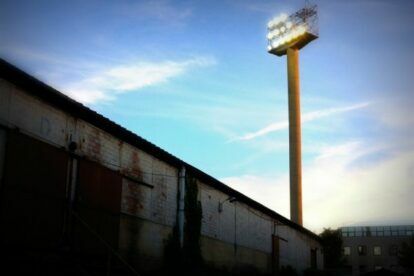 There are plans to move the club to a 20,000 seat stadium and to finally take them back to the top of French football, but most of the fans are against the project. Made up mostly of left-wing political groups, they enjoy supporting a team with a red star on its chest. A link-up this year with Vice magazine is bringing new supporters, who also enjoy Paris-brewed beer at half-time!